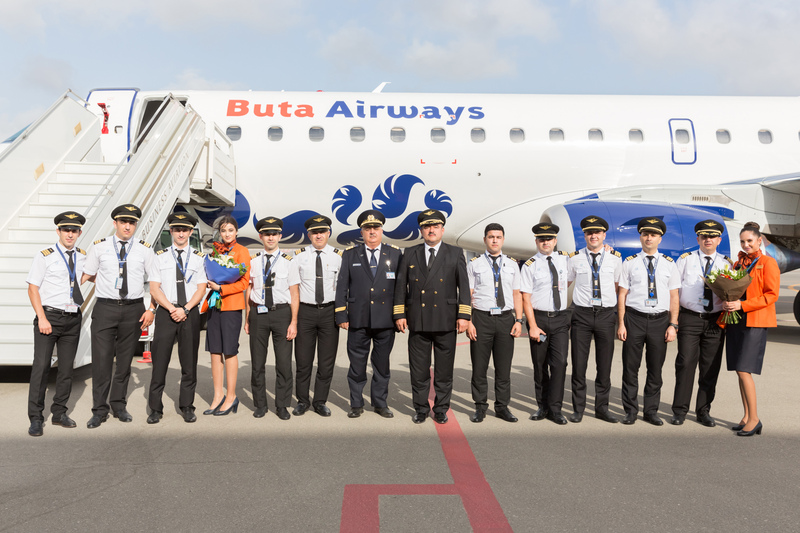 A ceremony to receive the first Embraer ERJ-190 aircraft of Buta Airways was held in Baku. The aircraft arrived at Heydar Aliyev International Airport from the manufacturing plant. 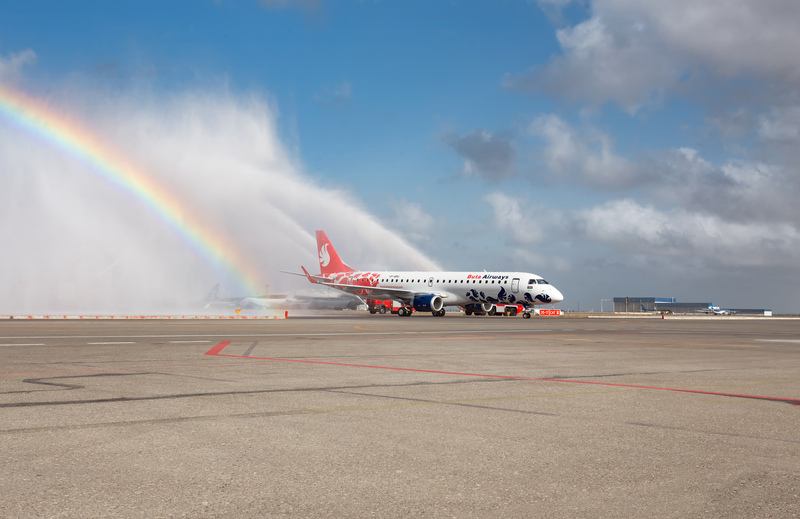 By tradition, the aircraft was welcomed at the airport with a water salute. Large-scale work, including establishment of the Azerbaijani low-cost Buta Airways, aimed at reducing air ticket prices, is carried out within Azerbaijani President Ilham Aliyev’s corresponding instructions at the enlarged meeting of the Cabinet of Ministers. Buta Airways will fly to the most demanded destinations. Starting from September 1, flights from Baku to Moscow (Vnukovo Airport), Kiev (Zhuliany Airport), Antalya, Kazan, Mineralnye Vody, Tbilisi and Tehran will be operated and with the beginning of the winter schedule (from October 29) the flights from Baku to Istanbul (Sabiha Gocken Airport) and Saint Petersburg, as well as from Ganja to Moscow (Vnukovo Airport) will be operated. Minimum fare for all destinations is €29 (one way). Buta Airways operates on a typical low-cost system and services such as baggage transportation, hot onboard meals, seat selection on the airplane and other options will be offered as additional paid services. In the coming days, Buta Airways will receive another new Embraer ERJ-190. In an economy class layout, this aircraft can carry 106 passengers. In course of time, the Airline’s fleet will increase to eight Embraer-190 aircrafts. It should be noted that on the airline’s bright livery, buta patterns are drawn in a bright red color that refers to Azerbaijan’s flag, as well as in the corporate blue color of the CJSC Azerbaijan Airlines (Buta Airways is a structural subdivision of CJSC AZAL). The colorful composition is completed with one of the symbols of Azerbaijan - mythological bird Simurg in the form of buta. We believe that the aircrafts of Buta Airways, decorated with national symbols will worthily represent Azerbaijan on the international arena and contribute to the even greater development of the country's tourism.